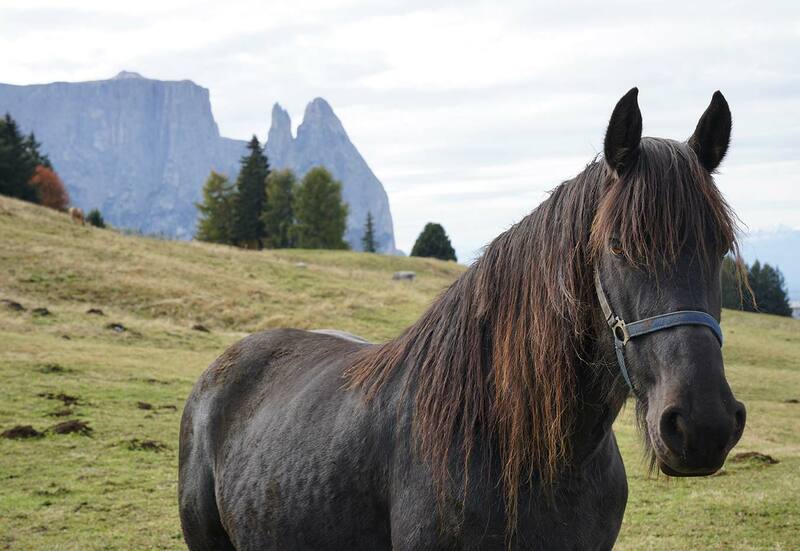 Horse riding is a fabulous way of exploring the Dolomites. Discover Europe’s largest high mountain plateau on the back of Haflinger, quarters and ponies and enjoy the views over the peaks of the Dolomites. 300 days of sun a year make riding in the Dolomites all the more enjoyable. Dealing with horses, caring for horses and, naturally, riding them. 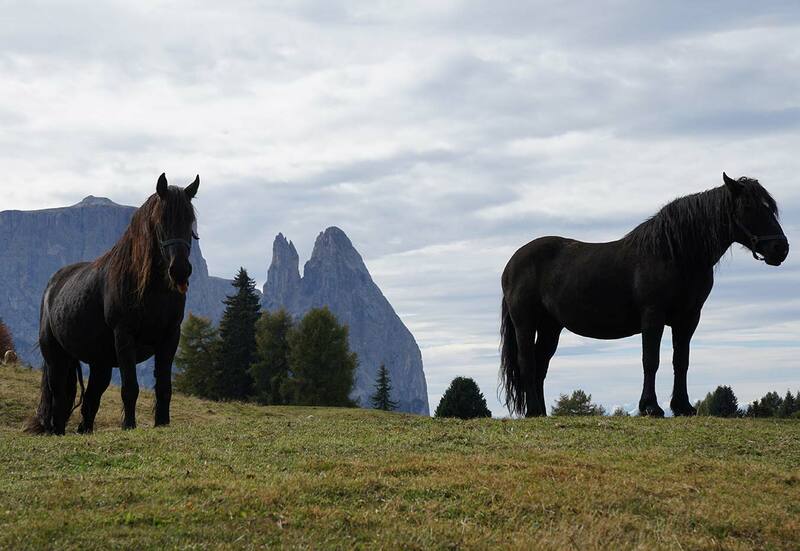 The expert riding instructors in the Seiser Alm holiday area will share all this with you. The riding in the Dolomites offer ranges from beginner lessons to advanced, private tuition in the paddock to riding excursions and trekking. One particular favourite is Haflinger riding: scarcely any other breed of horse rides so dependably in the mountains. Around 200 Haflingers spend the summer months on the Alpine meadows of the Seiser Alm.